Student Handout: Part One: What Do You Know About JFK? "Who Was Lee Harvey Oswald?" is an investigative biography of the man at the center of the political crime of the 20th century. The three-hour documentary special traces Oswald's life from his boyhood to that fateful day in Dallas on Nov. 22, 1963, and poses a number of questions: Was Oswald the emotionally disturbed "lone gunman?" Was he one of two gunmen that day in Dallas? Or was he an unwitting scapegoat for the real assassins? These teaching activities are designed to help students understand the political world that shaped Lee Harvey Oswald and to explore the influences on his life that contributed to his decision to assassinate President John F. Kennedy. "Who Was Lee Harvey Oswald?" is a documentary film that examines the life of the president's assassin through multiple lenses. Beginning with the family circumstances that shaped his early life, the film follows Oswald's actions leading up to and immediately following President Kennedy's assassination. Interviews and film footage illuminate Oswald's attraction to Marxism and his life in Cold War Russia, as well as his many travels in the U.S. Drawing upon the expertise of several authors and scholars, the film concludes -- as did the Warren Commission report following the assassination -- that Oswald acted as a lone gunman. 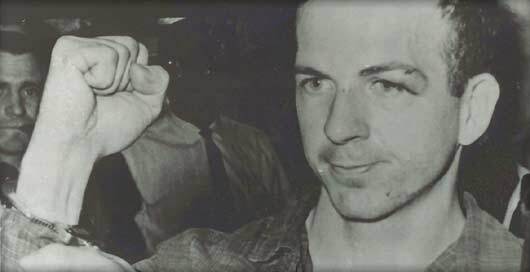 Students will research the world that shaped Lee Harvey Oswald's political beliefs. Students will view the film, paying particular attention to a "character" they have been assigned to follow. Through their participation in a mock trial, students will explore Lee Harvey Oswald's personality and possible motivations for assassinating President Kennedy. Students will explore the reasons why people use a context of coincidence and conspiracy to explain national tragedies. Students will examine how reality and fiction are used in storytelling and movie making. "Who Was Lee Harvey Oswald?" can be purchased from Shop PBS for Teachers. This teacher's guide was developed by Simone Bloom Nathan of Media Education Consultants. It was written by Ellen Greenblatt of University High School, San Francisco, Calif. Pat Grimmer, chair of the Social Studies Department at Carbondale Community High School, Carbondale Ill. was an adviser.